Confucius, the Chinese philosopher rightly said, “I hear and I forget, I see and I remember, I do and I understand”. True to this adage, children have great visual memory and prefer learning by getting involved. This helps them in making better connections. Therefore as a facilitator, I firmly believe in making learning visible and interactive for my budding learners. 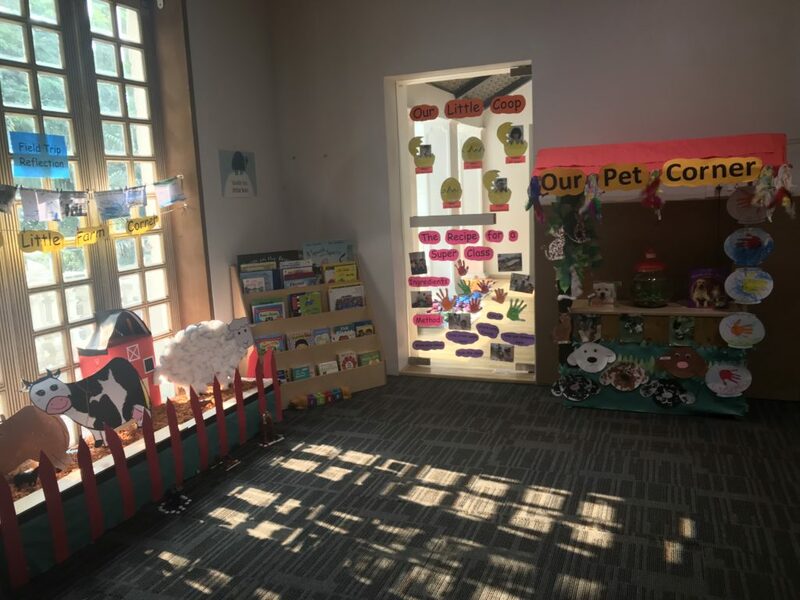 And to serve this purpose during the unit ‘Sharing the Planet’ I transformed my inquiry room into a space where children would spend time learning, sharing, and understanding more about the unit. This was done by getting children to contribute their views and ideas. To begin with we tuned into our unit to understand the concept of a ‘Planet’. One morning I kept a globe in the class. 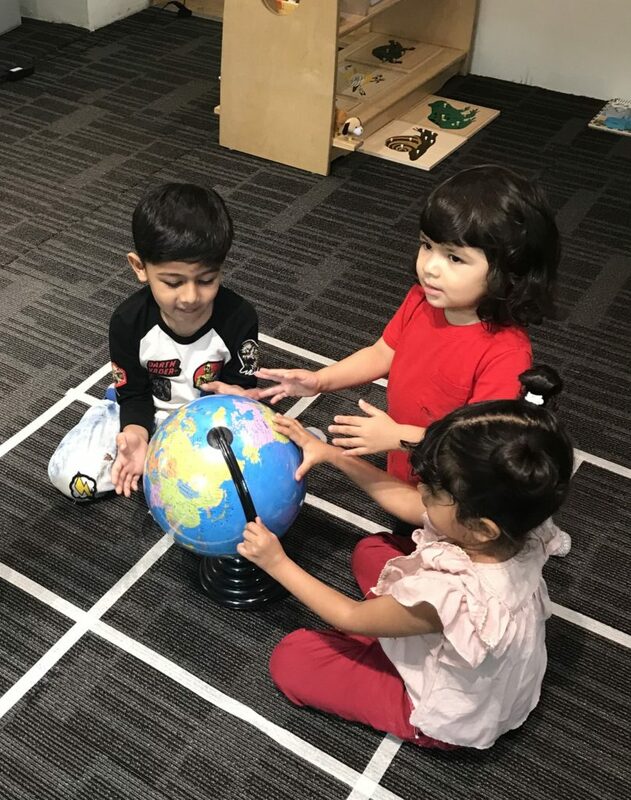 Children pondered over it and came to various conclusions such as “This is a blue ball”, “This is a map”, “I see Canada”, “This is the sun”, “India is here” and so on. Using the think-pair-share thinking routine we collectively decided to make a 3D model of the earth. We used green and blue paper to represent water and grass on a big bouncy ball that represented earth. 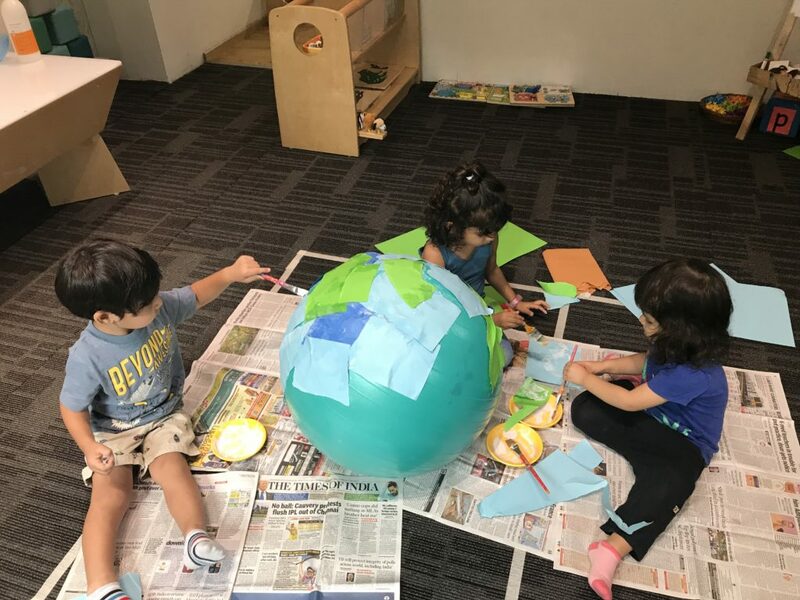 Next, to explain the concept of sharing to children I gave them another model: a hoop covered with paper along with loose parts such as trees, animals, pictures of children, and cars to name a few. As children explored the materials, one child said, “Let’s put these on the hoop and make it our planet earth”. Children started placing the materials one by one. Then I asked them, “What can you see on the earth now?”. 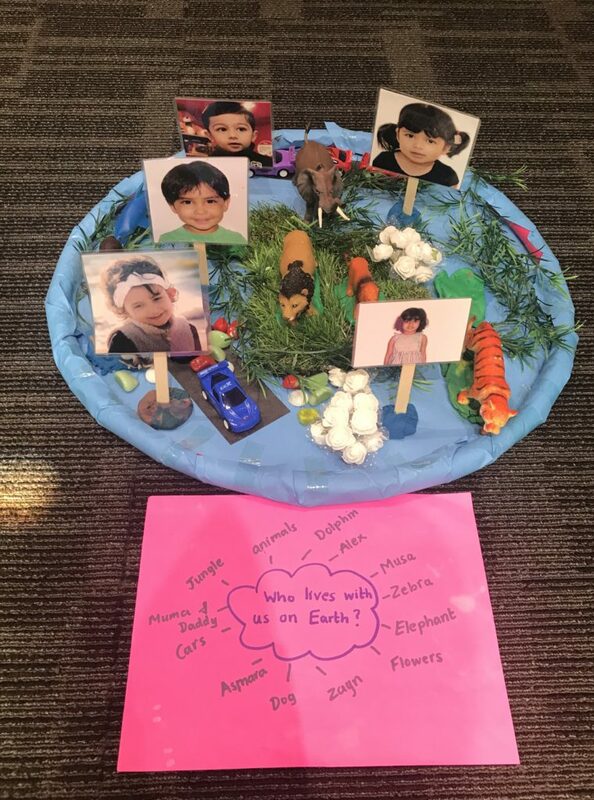 In response, they named things they saw around or that live on our planet – horse, cow, Zayn, Alex, Musa, Khushi, Asmara, car, and trees. I asked “Are we all together on one planet?” and got a resounding “Yes!”. Who lives with us on earth? To my “So what does that mean?” a child quickly replied “We are sharing our planet earth”. Thereafter I put our models on display in our inquiry room. This truly helped children make connections during our consequent discussions about our planet. Engagements like these instil confidence and a sense of pride in children as they see their work being put up. 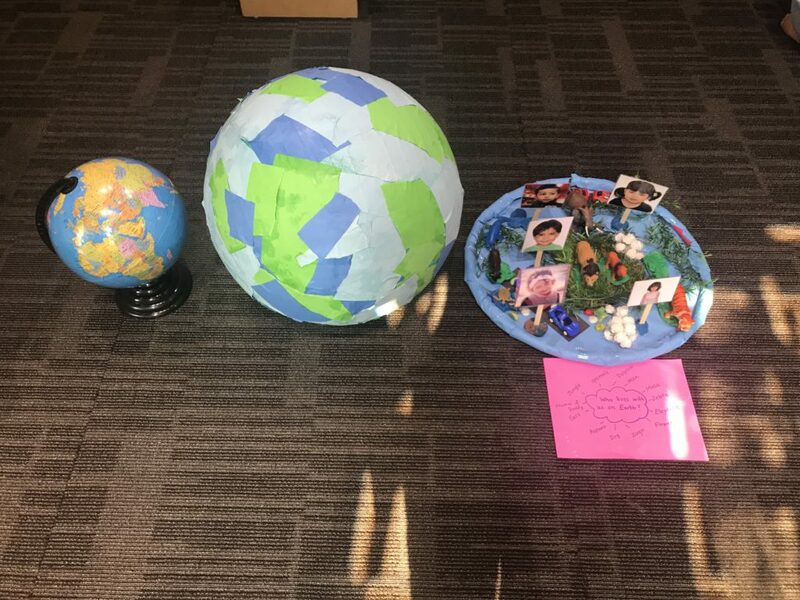 A globe, and 3D models made by our students. During the course of the inquiries children engaged in various activities to understand the concept well. They created display corners in our inquiry room and indulged in hands-on art activities of their choice. Further, we created an inquiry cycle that had pictures of the different stages that children were involved in. 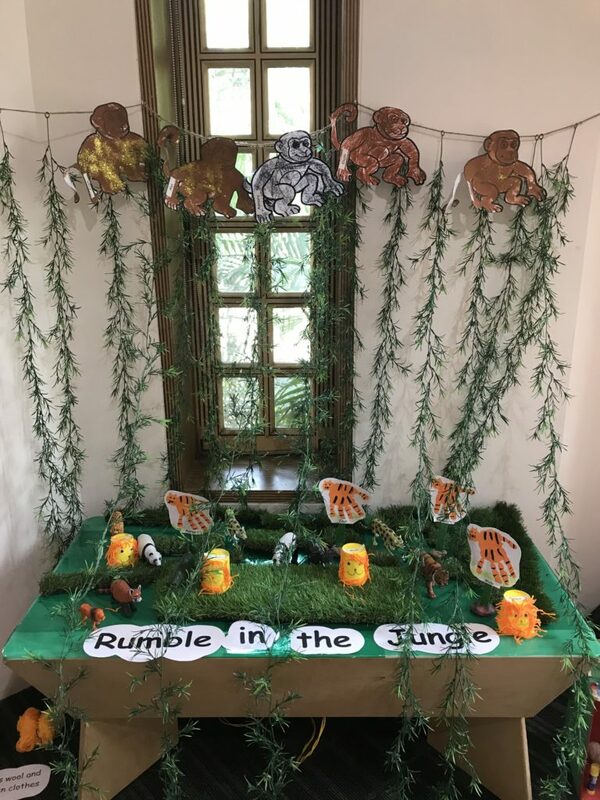 To make learning about groups and characteristics of animals visible we created several corners such as the pet corner, farm corner, rumble in the jungle corner, and a marine corner. 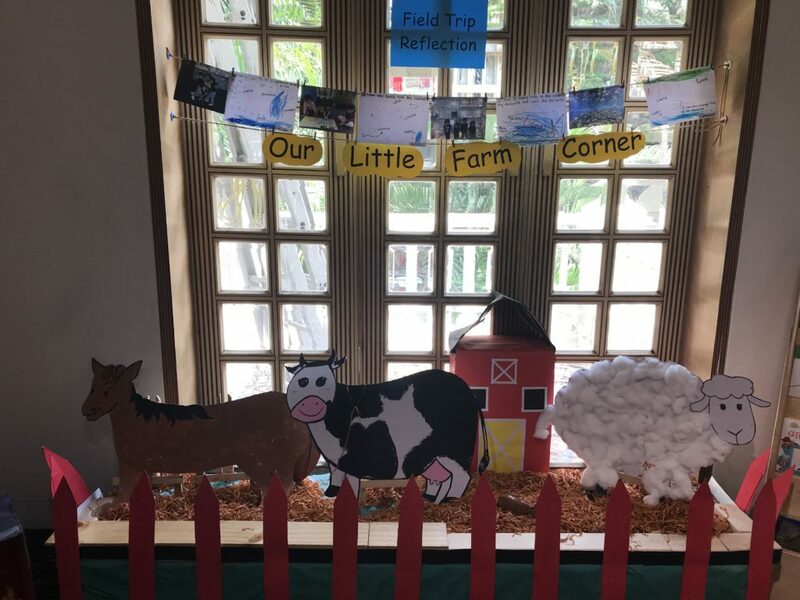 The farm corner was adorned with farm animals, fences, and hay; our rumble in the jungle corner with all the wild animals, creepers, and grass; and to create our marine corner we visited the aquarium! 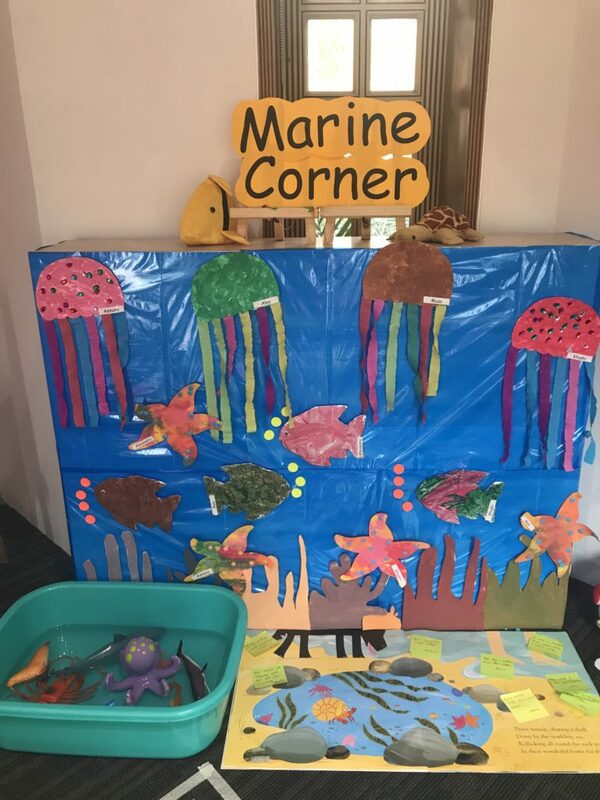 Later we made different marine animals for that corner. For our pet corner we even got a real pet fish! The children decided to name her Simi. 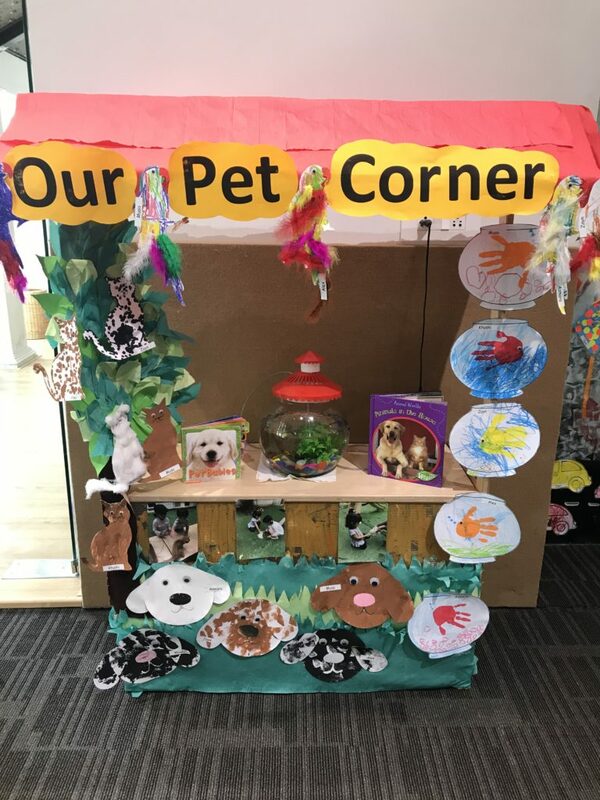 Our pet corner with Simi! 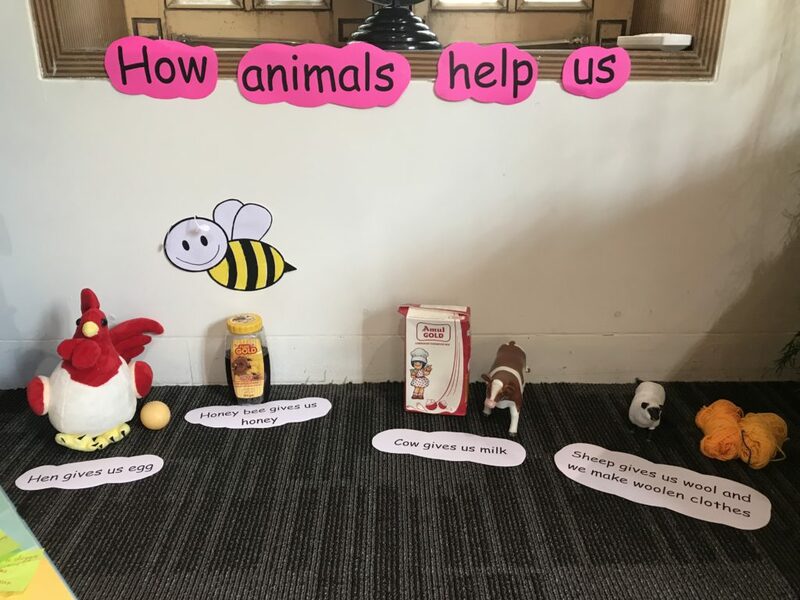 A display was created for the line of inquiry – how animals help us by keeping all the animals that help us along with their uses. 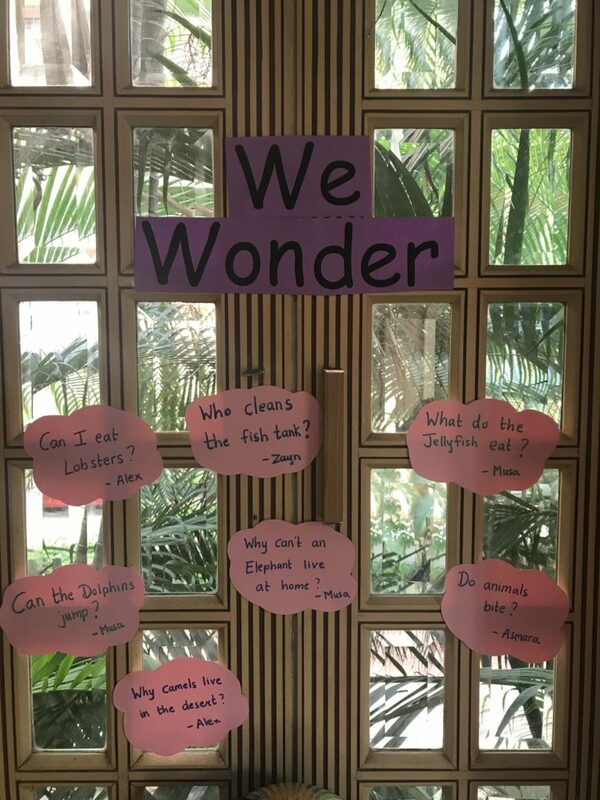 Other displays in class included a ‘We Wonder’ wall which displayed children’s questions such as – do animals bite? Who cleans our fish tank in class? Why do camels live in the dessert ? Can we eat lobsters? Why can’t elephants live at home? Can dolphins jump? What do the jellyfish eat? And so on. When we read story books related to our unit, children were driven to create what they saw in the book. 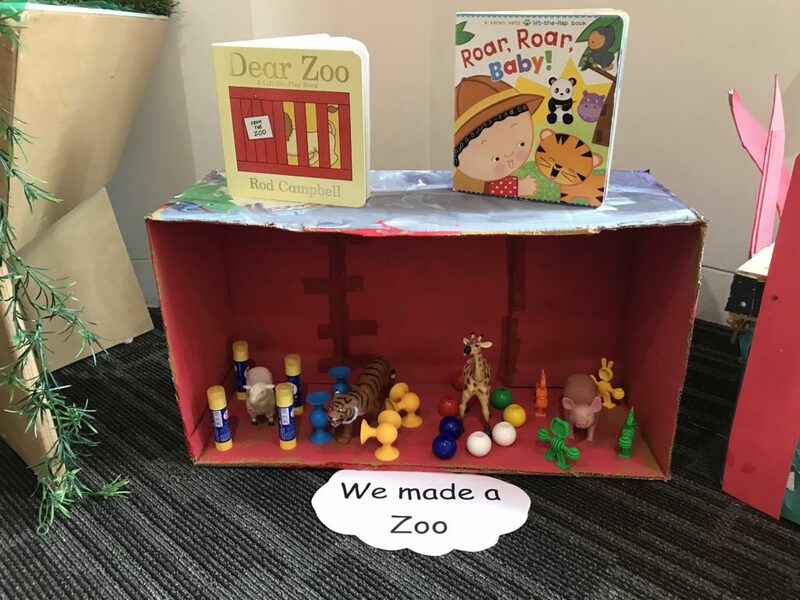 For instance, when we read the books ‘Dear Zoo’ and ‘Roar Roar Baby’ children wanted to create a zoo. We had a quick think-pair-share exercise to figure out how they would take this forward and what were the materials required. This process of making a zoo took them a week. It started with looking for a carton box. Then they decided to paint it. Following this, children collectively decided which animals would live there. Children went above and beyond and even made fences for the animals using items from class such as squishes and beads. The last stage of the inquiry cycle involved reflection and taking action. We created awareness in children about how we are responsible for the furry friends we share our planet with. And subsequently they demonstrated how responsible they could be when they explored various places like the joggers park, and the amateur riders club. They also spoke about how they are responsible for their pets and our pet corner made this learning prominent. These learnings were displayed using pictures in the inquiry cycle which served as a point of reflection for both teachers and students. We were happy to see the IB PYP learner attributes of being reflective and caring develop in our children. Making learning visible helps teachers reflect. It empowers teachers to do emergent planning based on reflection. Displaying children’s work makes them feel confident and helps them take pride in their work. It enables children to make strong conceptual connections. It helps children reflect, form new ideas and further enhance their imagination. It gives children an opportunity to make connections about what they learned and are currently exploring. 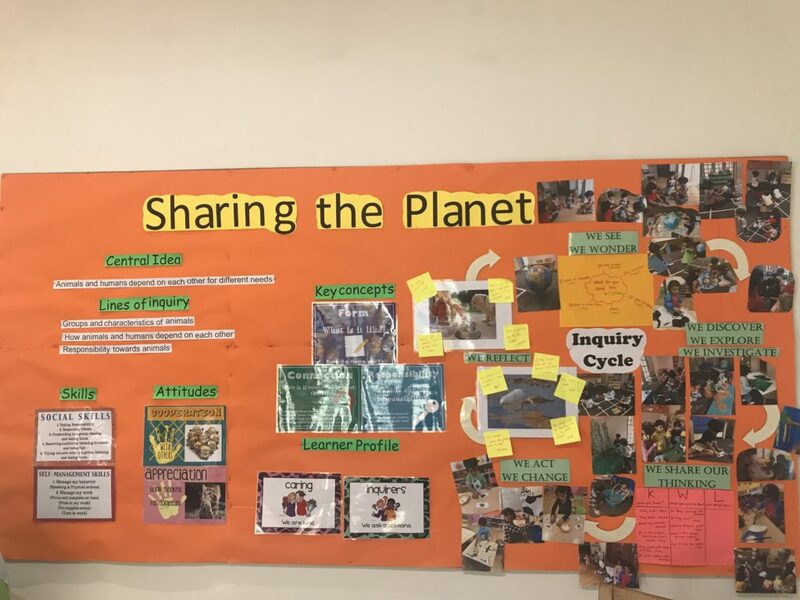 It lets children visually (through photos and notes) revisit different stages of their learning journey while viewing the inquiry cycle board. 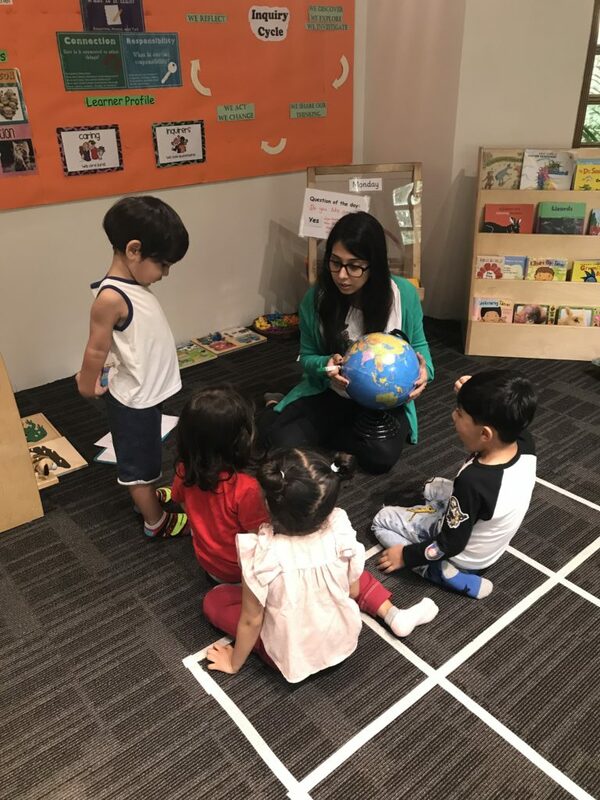 It creates a setting where children can co-construct the environment as a part of open-ended tasks enabling voice and choice in the classroom.